Just call my name and I’ll come in a wink. Then you’ll see my white fur and my eyes that are pink. Asia was released in September 2015. Her birthday is on 6th June 2015. This is the key clip version of Asia. 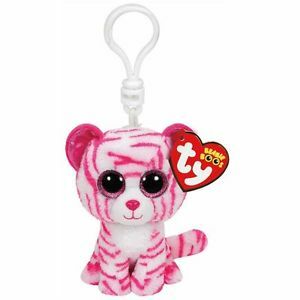 She is also available as a regular 6″ Beanie Boo, as a larger 9″ Beanie Boo Buddy and in an even larger 16″ size.